The Twittersphere has been busier than ever raging on about the events in Zhanaozen! On December 16, violent clashes occurred between oil workers and police forces during celebrations in honor of Kazakhstan’s 20th anniversary of independence. While there are various versions of the Zhenaozen events and few people know with certainty what occurred, what is clear is that the riots themselves and the reaction of the government and civil society groups indicates the political fault lines that will materialize during the eventual transition of the presidency. According to official reports by the Embassy of Kazakhstan in Washington, D.C., a group of “hooligans” attacked a peaceful celebration in the center of Zhenaozen, attacking police forces, destroying a yurt and setting on fire a police bus and beating up innocent civilians. Then, according to an official statement by the Ambassador, “in response to the demands of the police to stop their illegal actions, the group of hooligans attacked police officers seeking to seize their weapons. Yet, the police officers did not allow that to happen.” This is not an entirely inaccurate account of the events. To the credit of the Embassy of Kazakhstan, they are regularly updating their timeline of events and issuing statements by the Ambassador. Ambassador Idrissov is even hosting a press conference today in Washington, D.C. to answer questions on Zhenaozen from reporters. According to Human Rights Watch, on the morning of December 16th, between 100 to 150 strikers gathered peacefully on Zhanaozen’s central square, where celebrations were scheduled to occur (and where they have been on strike for several months). Around noon, a group of young men stormed the stage and unleashed the chaos that has since been reported by the Kazakh government and international media sources. Police forces responded with force. Some reports claim that the police used tear gas and fired directly at unarmed civilians. The government shut down the internet and mobile towers, prohibiting individuals from tweeting, texting, emailing or Youtube-ing details of the events to the outside world (even though all of the above eventually occurred). As of December 21st, official figures report that there were fifteen casualties, 110 wounded and forty-six buildings burned. Other sources indicate that there were upwards of seventy casualties and 700 to 800 wounded. Zhanaozen was not a random occurrence. For over six months, approximately 1,000 employees of Ozenmunaigaz have been on strike, demanding higher salaries and improved working conditions. Astana viewed the dispute as a conflict between the company and its employees. Unfortunately, failure to resolve the dispute culminated in the events on December 16th. Zhanaozen is now under a state of emergency until January 5th, ten days before the parliamentary elections. The deadline for the nomination of candidates was December 5th and the deadline for submission of party lists was December 15th. The official campaign period began on December 16th and ends on midnight, January 13th. Thus, for most of the campaign period, Zhanoazen is under a state of emergency. It will be particularly interesting to see the results of the elections in Magistrau province. A sweeping Nur-Otan victory will provoke suspicion and potentially protests, as few will judge the results as credible. While I do not know the candidates and party representatives from Magistrau, in light of recent events and Western Kazakhstan’s reputation as a more religious and politically conservative region, Nur-Otan will likely not perform will in this region. It is worth following the campaign period in this region and how government authorities, Ozenmunaigaz officials, workers and civil society organizations behave during the pre-election periods and how the votes reflect the desires of the people. So, what to make of all of this? First, while we do not yet know for sure, the group of 20 to 30 young men who stormed the stage were probably not acting on behalf of the 1,000 oil workers on strike. They were young, adrenaline-driven men who reached a boiling point and attacked. They appeared to have organized within themselves. Having lost family members and living under a state of emergency, most civilians are stressed by the events and did not want a violent clash to occur on a national holiday. It is not fair to associate the group of young men who attacked the stage with the entire labor movement. If the clashes at Zhenaozen were reflective of the entire body of oil workers, then we would have seen more civilians take up arms. At the same time, the wealth inequality between the politically well-connected titans of extractive industry and the Kazakh middle and lower classes is massive and growing. Wages for government employees and all workers need to appreciate to keep up with inflation. Second, given that the men stormed the stage, thereby provoking violence, it is only natural for the police to respond in self-defense with force. By definition, the police are responsible for maintaining public order and enforcing the law. However, what appears to have occurred at Zhenaozen is a disproportionate and over-aggressive use of force by the police against innocent civilians. Videos of the riots on Youtube show the police shooting at innocent civilians running in the opposite direction. Currently, 10,000 troops are stationed in the city. As of December 19, over 700 people have been arrested by Kazakhstan police forces, with more arrests likely to continue in the coming days. Third, the government of Kazakhstan must take responsibility for the events at Zhenaozen by acting with transparency in the international diplomatic arena, and ensuring a free and fair election, and electoral processes, in January. The government’s crackdown on Internet and mobile telephone use is directly out of the authoritarian toolbox. Prohibiting the entry of foreign reporters in Zhenaozen and confiscating the laptops and phones of those who enter further discredit the regime. At the same time, the government claims to maintain transparency by sending out press releases. In order to demonstrate the regime’s true commitment to establishing a multiparty democracy where citizens can freely and peacefully organize, the regime must carry out free, transparent and credible elections. A sweeping Nur-Otan victory will only provoke more resistance from disgruntled Kazakhs. Manufacturing the election results will also discredit the regime’s commitment to political pluralism and transparency. Nazarbayev must prove now that he is ready to oversee the devolution of power and allocate increased legislative autonomy to the Mazhilis and Senate while enabling the Kazakh polity to elect their representatives. Finally, I disagree with claims equating the events in Zhanaozen with the Arab Spring, but argue that there is a nascent, but burgeoning, movement in Kazakhstan pushing for political liberalization. First, the riots in Egypt and Tunisia were sparked by elections. This was an Independence Day event used pro-reform civil society organizations to make a statement. When I posted this on twitter, @KazakhSpring replied: “It's not small when it spreads to several cities. 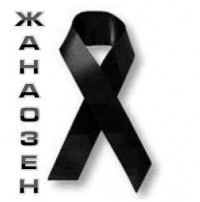 And it is not small to the families of the 15-50 dead #zhanoezen.” Clearly, there are some people in Kazakhstan who are disgruntled with the status quo and seek to use grassroots mobilization techniques to implement political change. Granted, smaller riots occurred in Almaty and Atyrau. When I wrote to my friends in Astana and Almaty inquiring about the events at Zhenaozen, most of them lacked details and only knew there were some riots and the Internet was cut off. All in all, while it is extremely early to make a conclusion about the Zhenaozen events, I argue that the riots are symptomatic of divisions within the polity that stem from wealth inequality. These political fault lines will be fully exposed when Nazarbayev transitions power to a new President. For now, I send my condolences to the families of loved ones who died in Zhenaozen and hope for the best for all of Kazakhstan’s people.